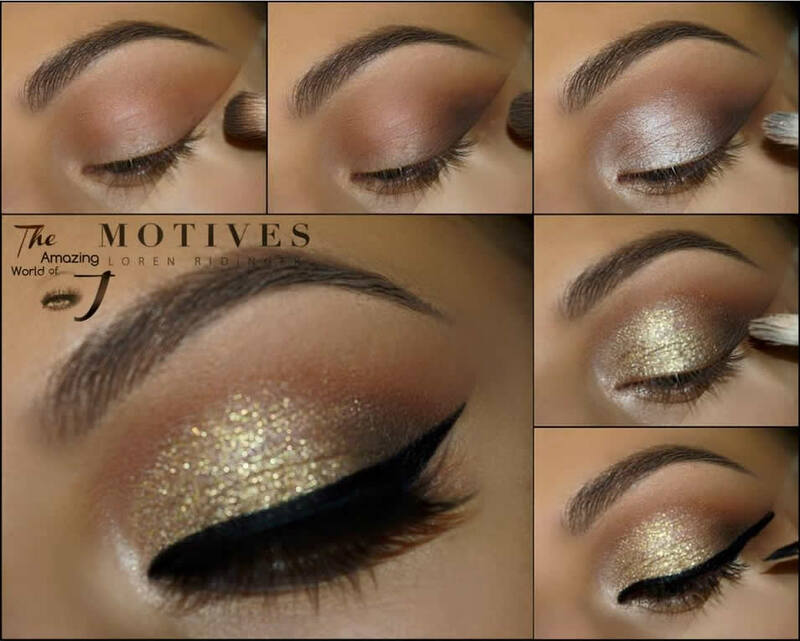 Create this subtle, yet gorgeous, eye shadow look using the Motives Demure Palette and Motives Gem Sparkles. 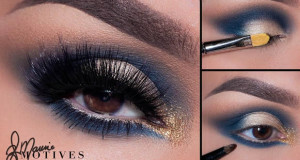 This tutorial is by Motives Maven, @theamazingworldofj. 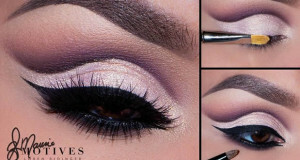 Apply Motives Eye Base all over the lid. 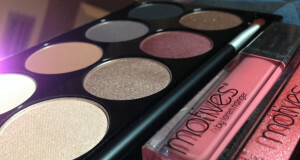 Use the Motives Mavens Demure Palette for the transition, highlight and darkening of the outer v/ lower lash line. Apply Motives Glitter Adhesive on the lids. Apply Motives Gem Sparkles in Citrine. 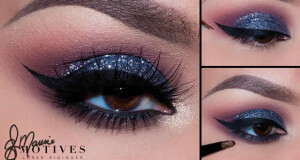 Line the eyes with Motives Gel Eyeliner in Little Black Dress.